Let It Ripple’s mission is to use film, technology, discussion materials, and live and virtual events to engage people in conversation and action around complicated subjects that are shaping our lives, and updating these topics through an engaging, accessible, 21st-century lens. Over the past ten years, the team has created and distributed 28 films, engaged more than 50 million people in dialogue, and created a new way of making films called “cloud filmmaking,” where films are made collaboratively with people from all over the world and organize global days of screening, conversation and action. Helmed by Tiffany Shlain, Emmy-nominated filmmaker, thought leader and founder of The Webby Awards, Shlain has had four films premiere at Sundance, has won more than 80 awards, and has had four of her films selected by The U.S. State Department to screen at embassies around the world to foster dialogue across borders. 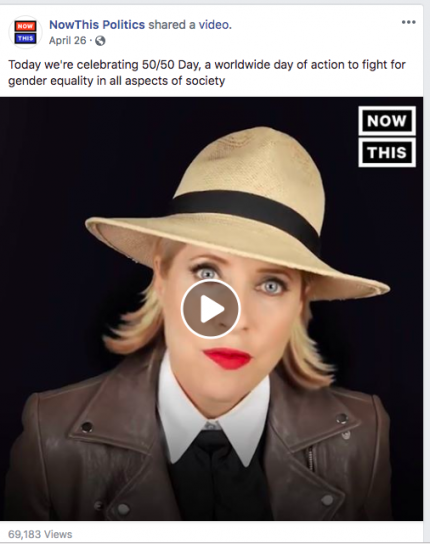 Two NowThis videos on 50/50 Day, a global day of action and conversation about gender equality on April 26, 2018, garnered over 120,000 views in just two days. The videos included one on the mission of 50/50 Day and another featuring an interview with Jada Pinkett Smith, who participated in 50/50 Day’s live webcast. 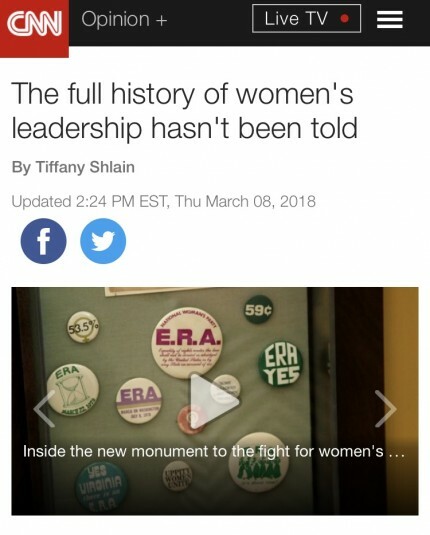 50/50 Day co-founder Tiffany Shlain penned an op-ed for CNN on how schools, news media, and entertainment industry have failed to tell the full history of women leaders. As part of the first annual global Character Day, more than 1,500 schools and organizations from 38 countries and all 50 U.S. states last week hosted the global premiere of filmmaker Tiffany Shlain’s new film THE SCIENCE OF CHARACTER. Promoted by U.S Secretary of Education Arne Duncan last week, Character Day is organized by Let it Ripple: Mobile Films for Global Change in partnership with an array of organizations including U.S. Department of State, Commonsense Media, The Bezos Family Foundation, and The Aspen Institute. Coverage of the premiere ranged from PBS Newshour, Fast Company, and Politico to Scientific American, Psychology Today, and The Intelligent Optimist to local outlets like San Francisco’s KQED, The NJ Star Ledger, and the Austin American Statesman. Tiffany also explored her weekly digital detox in her AOL series “The Future Starts Here,” which has garnered more than 20 million views to date. Check out the episode below.